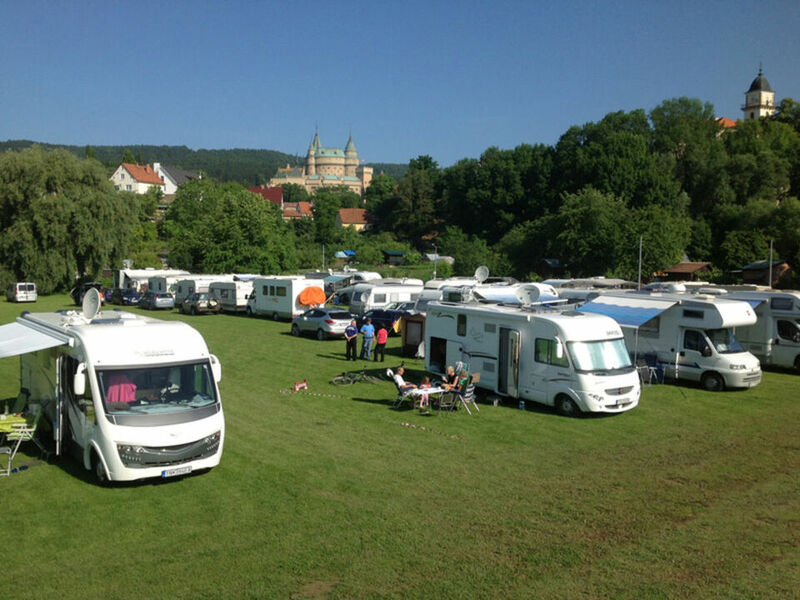 - Place for tents, caravans, trailers . In the area you can use a large open fireplace , buffet with terrace (snacks, meals), space for sports games. Social facilities and showers are separate with non-stop hot water . Camping is open during the whole summer season until 15.9. Apart from the season in the area, we provide various corporate events, celebrations, weddings and other events throughout the year after the phone call. 0905 502 667 . The hotel offers you 40 double rooms with the possibility of a foster family with max. Capacity of up to 120 beds in modern and pleasantly furnished rooms, including the apartment. The restaurant, café, outdoor covered terrace with pool and barbecue are a pleasant setting for dining, sitting or entertainment.